2013 will be the "Year of the Album" for Wally Spice Photography - what a great way to celebrate our 20 anniversary! 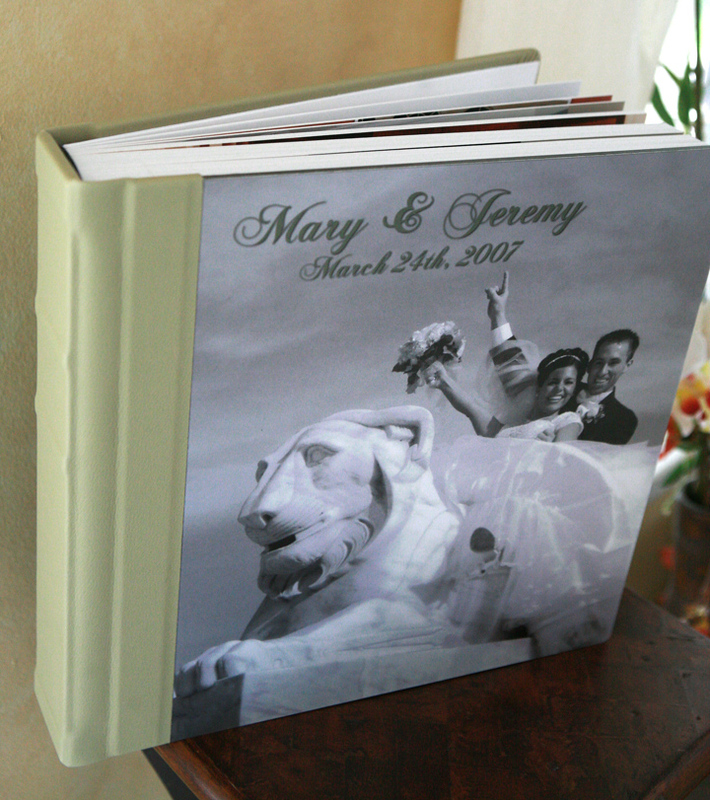 A breathtaking album, that tells the story of your wedding day with all your favorite photos, in a creative totally customized design - is priceless! This is something you can proudly display on your coffee table, book shelf in your home and look back and ENJOY over the years! I was photographing a 1 year old birthday party for Gretchen - one of our great clients for life - their wedding was in 2008! I was so thrilled to see their beautiful FINAO ONE album displayed in their dining room - still with the creative and protective art paper cover it came in - WOW! This is a photo I had to take of their beautiful table in front of the window with the album - and one I had from earlier when I first got it. 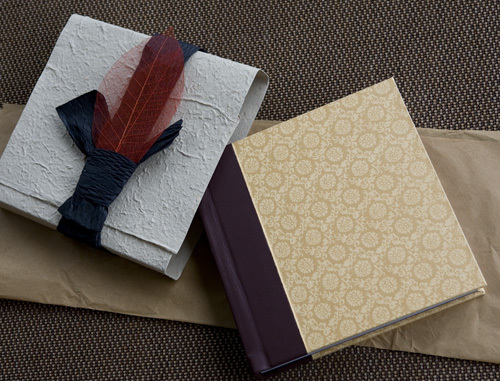 Beautiful handcrafted red leather with the had crafted paper and bow they are famous for, The guests are enjoying the wedding album as well a press printed album of James as he was growing up. A DVD just wouldn't look as nice on this beautiful coffee table , and wouldn't be as easy to look at and ENJOY. We DO give you the DVD also, of all your edited wedding images, with a copyright release, So, you can have the best of both worlds! 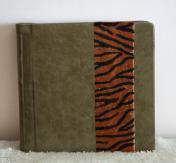 Our albums are a-la-cart and we have many stunning beautiful albums to choose from. We often include a $1000 credit. This has been 24 sides of the great FINAO ONE album, with standard cover options. (www.finaoonline.com) We LOVE their many great albums to choose from, in varied prince ranges. The $1000 included in a lot of the contracts we write up can now be used towards any of the weddings albums we have available, in a wide range of price points. Take a 20% discount on any new album and the cost of cover upgrades and additional sides. The discount on additional sides and upgrades can apply to albums in progress. If you've been to our studio you've seen the album for Carmie and Steve - It is a 12x12 beautiful ONE album by FINAO with the Chrystal cover. This is it! Their reception was at the prestigious Detroit Athletic Club in Detroit, the Ceremony at the Blessed Cathedral on Woodward Ave in Detroit and they enjoyed a great fun "Urban Shoot" after they met on the gorgeous marble staircase at the DAC, before the ceremony. A special bonus was going up to the rooftop of the DAC to watch the fireworks after the Tigers baseball game at Comerica Park - right next door! 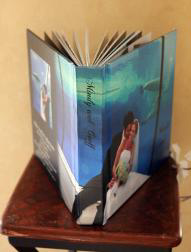 Come see this beautiful album in person and let's see what we can do for your wedding?